BullFest is a Lamborghini Only gathering and drive organized by Driving Force Club. The journey started with a dozen New York area Lamborghini owners going for a drive in 2007. Two years later in 2009 the event was given the name “BullFest” and became an annual tradition. Over the years it grew into a major event with turnouts of over 100 bulls. 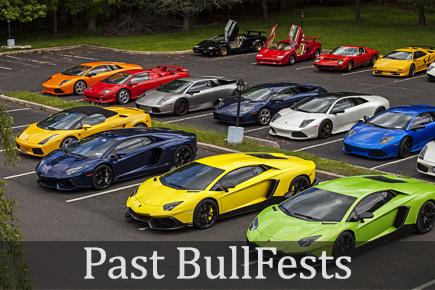 Starting in 2015 BullFest MIAMI Edition was introduced in addition to NY, with both events attracting Lamborghini enthusiasts from all over USA, Canada and Mexico. Click on the links below for information on upcoming BullFests as well as photos and videos from previous BullFests. BullFest|2019 New York Details & Registration coming soon.